The original Wilbert’s automotive parts was founded in 1952 by the late Arthur Wilbert. At Wilbert’s Premium Recycled Parts we have continued the legacy left behind by Arthur and carry parts from ALL makes and models of vehicle. Our huge inventory makes this Wilbert’s location one of the largest suppliers premium parts in the Northeast. 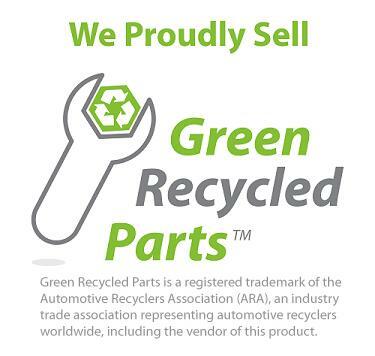 We take pride in offering superior customer service selling only quality tested premium recycled parts all at reasonable prices. If we don’t have it in our computerized parts inventory system we can locate it and have it delivered to you within 24 hours in many cases. Wilbert’s PAP stocks thousands of new and recycled automotive parts for more than just General Motors. We offer nationwide shipping on most parts and free same or next day shipping to local repair shops and automotive dealers in the upstate New York region. If you do not see what you’re looking for in stock please give us a call at 585-872-1540 as we are a premier member of Team PRP Northeast. What this means to our customer is a consistent premium recycled part delivered next day. This partnership of almost 20 progressive automotive recycling facilities trade parts every single weeknight. This expands our inventory immensely and reduces delivery time almost by half.